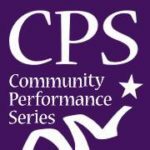 Community Performance Series is a college-community partnership that presents distinctive and renowned performing arts events in Northern New York. The Guest Artist Series, now in its 29th year, has brought a rich variety of performing artists to Potsdam. CPS provides administrative support to several campus and community performances in an effort to increase public awareness of arts opportunities.